I would just like to start this little diatribe of mine by saying, thank you all for visiting the site. In recent weeks the site analytics report has shown that KK's visitation has exploded! The number of visitors is up by 1000%! That is no exaggeration. Remember, I am not a Wahabi or Salafi, so I don't stretch or manipulate the truth, or lie. Many of my visitors have been asking, "Why are you so harsh in your critiques?" This is a totally fair question and I intend to answer it in the best manner possible. Meaning, I will keep the jokes to a minimum and just be straight with you. "Hey, do you think I shouldn't be so harsh on the Salafis?" "Of course you should, they are harsher on us." You see, it's a very difficult matter at times because people are all too often responding through their emotions. I am, however, not responding through my emotions. I am responding objectively, without being sentimental. My objective is truth. Let's break this down, because I know I am starting to not make sense. Salafis lie, lie, and lie. Yes, this is the biggest point for me. The question never was, "Are Salafis harsh on Traditional Islam?" That answer has always been clear and is a resounding, "Yes!" But the question that we need to ask is, "How harsh are Salafis on Traditional Islam?". The short and sweet answer is: "Very." As you know, I'm not one to take the easy way out when it comes to explaining what I say. Unlike many Salafis. So, I will explain quite thoroughly what I mean here. The Salafis are a puritanical movement, the fact that they came into existence means they were harsh on the currently existing condition of the religion. They wrongfully thought that the Muslims of the 17th century were practicing Islam incorrectly. So, they made it their religion to destroy Islam the way it was practiced then. They destroyed art work relating to Islam that glorified the Prophet (S), his family, and his companions. They no longer cared for music or songs that praised the Prophet. They desecrated graves and tombs. They destroyed the homes of Sahabah and even mosques! They attacked anyone not following the Sunnah (which is truly ironic because the Sunnah is not Fard (obligatory), so why force people to follow something they really don't have to if they don't want to? Why force anyone to do anything period?). This is just the start of it. They have killed thousands and thousands of innocent Muslims. You see, I have not killed anyone (nor do I intend to). So many people disagree with me and will continue to disagree with me, yet I will never harm a single soul. Why? Because violence and anger is not our Prophet's way, and I follow him. These Salafis also claim to follow the Prophet, this is a blatant lie, just look at their actions and compare it with the actions of our Prophet, they are polar opposites. So, now that you have some perspective. Am I really too harsh? In comparison with the Salafis, I am merely a kitten purring. While the Salafis are rabid jackals foaming at the mouth, hungry to bring their judgement down on you so they can enhance their egos and feel as if they are in control and are the worthy servants of God. Anyone that has ever debated with a Salafi knows what I am talking about. 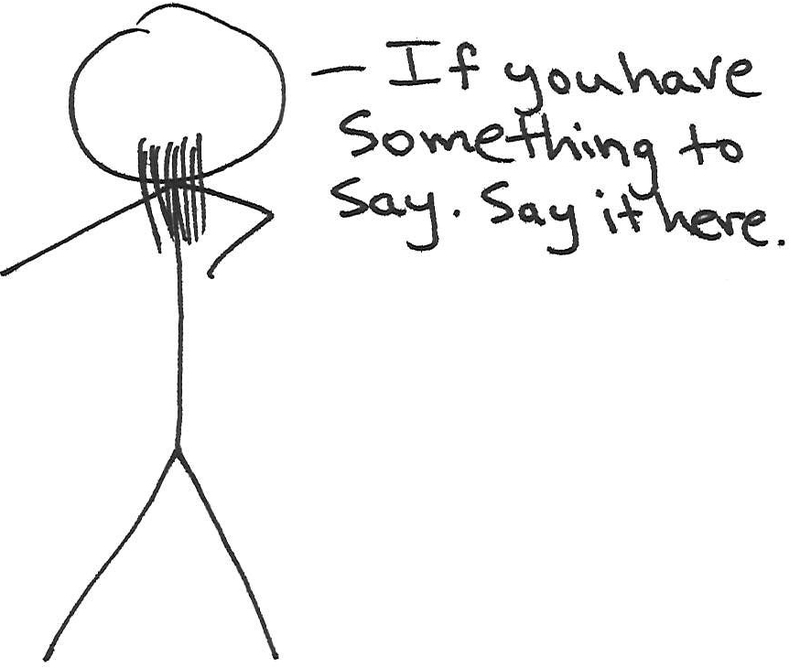 Typically, when discussing religion with a Salafi it is usually the Salafi that brings the topic up. But not for any nice purpose, not for the sake of discussing religion or God for His pleasure, but to tell you that you are doing something wrong. Or to entrap you in a Salafi logic bomb. Salafi logic bombs can be lethal, so beware. So, let's walk through a Salafi logic bomb. Salafi Dude: "I noticed that your feet were lifted off the ground for a second when you were in sajdah." Salafi Dude: "Yes, your prayer was not counted." Me: "Were you paying attention to your prayer or my feet?" Actually, the above is an example of how you can diffuse a Salafi logic bomb, but most of us get stuck with the last thing the Salafi Dude says and often times just passively agree with him and leave. In the example above, I respond with my own logic, that clearly shuts down the Salafi Dude. What is he going to say now? Salafi Dude: "Oh... well, it was more important for me to monitor how you pray and then correct you instead of praying correctly myself." If he says that, then you know he's crazy. But I would hope they would just shut up at this point and leave you alone. The reason why most people let Salafis say these things to them and not respond back in their defense is simply because most Muslims are just really nice and tend to be passive in the face of such confrontations. This is not a bad thing, but don't accept what is said to you, you can kindly ignore them and carry on about your business. If you really try to understand this, when people come up to you at random and correct you regarding some religious edict, you really have to understand that they are being utterly arrogant and condescending towards you. That is not how our Prophet corrected people. He was so humble and gentle with people that they wouldn't even realize he was correcting them. If you've ever participated with a Salafi in a coffee house debate, then you know their basic arguments. "Show me where it says [blah] and [blah] in the Qur'an and I will believe you." And so on and so forth. They tend to get very heated very quickly, especially if they feel their intellect is inferior from yours. In the face of such arguments, what can you say or do that will reason with the Salafi? Not a whole lot, you can't even begin to explain how traditional knowledge and wisdom was spread and passed down through a spiritual silsila (lineage). "Put me in a room full of scholars and I will win in every debate against them. Put me in a room with one ignorant person and I will lose each time." It's true, they lie all the time. Don't believe me? Just read through some of the khutbahs I critiqued, the most recent example of this is the khutbah by Hamza Tzortzis at the UIC MSA a couple week ago. Read it and check the facts for yourself. The mere fact they call themselves "Salafi" or belonging to the "Salafiyyah" is a lie. They are not from the first three generations of the Prophet (S) and his companions. How can they call themselves as being from the Salaf? We are living over 14 centuries from the time of the Prophet (S), how many generations have passed since then? Definitely more than three. They lie to make their points, they typically lie because they don't know something, or because they are trying to push their understanding. They seem to think it's okay to ignore or rewrite history to suit their needs. I hope it's clear now why I am harsh on the Salafis and why I will continue to be harsh. If you all have any questions, feel free to contact me via our contact page.